Ben leads the microsimulation modelling team at the Centre for Social Research and Methods (CSRM) which produces the PolicyMod model of the Australian Tax and Transfer system. The team recently modelled the 2018-19 Federal Budget and has undertaken a number of modelling projects modelling the Australian childcare system. Prior to this Ben was Principal Research Fellow at NATSEM where he led STINMOD, NATSEM's static microsimulation model of Australia's income tax and transfer system. Ben's main interest is the application of social and economic models to important social and economic policy matters such as income inequality, social exclusion, housing affordability and demographic change, taxation and social security and policy development. Ben has published several reports with AMP in the areas of the cost of living, housing affordability, childcare and household debt. Ben has a wide range of experience in both the public and private sector over the past 20 years in the field of economics and statistics. Prior to working with NATSEM and the ANU, Ben was a senior economist with the Housing Industry Association where he was responsible for housing and economic forecasting within the Economics Group. Ben also played an integral role in developing housing policy and analysis for housing affordability. He presented widely to conferences, industry groups and had a large media presence. 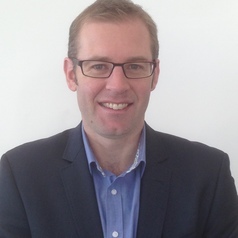 Ben has also worked as a methodologist with the Australia Bureau of Statistics for five years and an economic forecaster with the Bureau of Tourism Research.